I have no interest in gathering cocoanuts or coconuts. 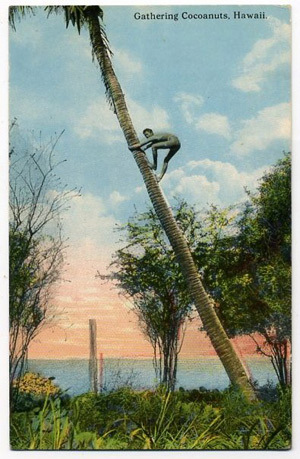 Funny thing, search google for “gathering cocoanuts postcard” and there’s a fair amount of variations of this postcard. Came across this postcard ebaying hawaii postcards. is that a monkey or a human?